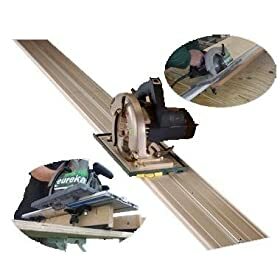 In this track saw comparison I read through several forum threads discussing track saws and counted up the purchase recommendations. I did not use any of these tools myself! I hope that this comparison of recommendations, plus the links to my sources, will help you to make a better decision on how to spend your heard earned dollars. Festool Saw with Guide Rail, or Dewalt Tracksaw? 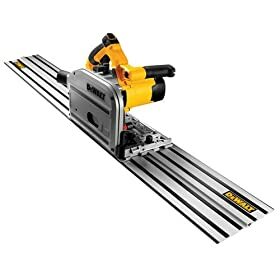 Dewalt TrackSaw vs Table saw? Festool T55/75 vs cab saw..
Who voted for this??? obviously festool’s marketing dept. Eurekazone’s Smart Guide System is trully the best, and I’m not getting paid to tell you this! so you can trust my unbiased opinion. Eurekazone is the only patent holder, and the only integrated track system you can use for multiple projects, and turn your tracksaw into an all purpose workbench. Not only is the price competative but the work you can do with the guide system by your side is unparalled. Speaking of parallel, the parallel and perpendicular repeaters are being copied by festool. So what’s better? Festool or Eurekazone? Well let me ask you this, who is copying who? 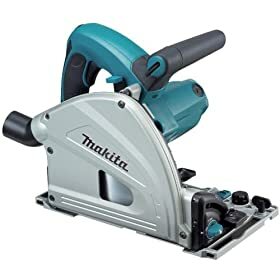 i have no experience with regards to the makita or eurekazone ,but i do own both the festool and dewalt tracksaws. be aware that i have NO affiliation to any of the above company’s whatsoever , so i can say outright which is a good tool regardless of manufacturer or model. so far, the festool is the best tracksaw and guide-rail system on the market. the festool guide-rails are made up to a whopping 5000mm for complete accuracy of long cuts. here is a video of dewalt vs festool tracksaws which i made recently. no hype , no b.s , just plain old telling it like it is. I think the Dawalt is the best.